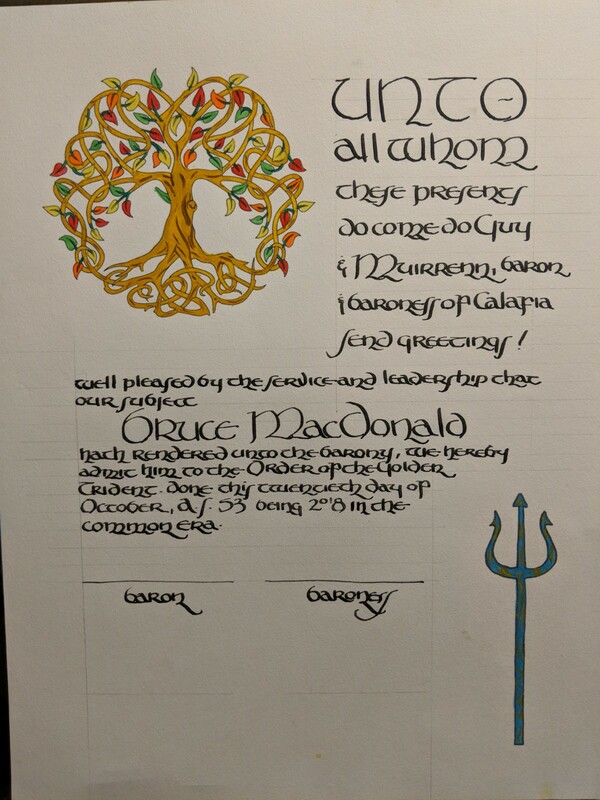 Golden Trident scroll for Bruce MacDonald. Illumination by unknown, calligraphy by Ariana verch Gwenllian. 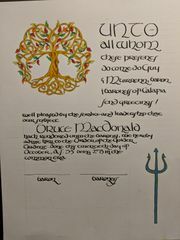 current 11:27, 7 November 2018 1,200 × 1,600 (444 KB) Ariana.verch (Talk | contribs) Golden Trident scroll for Bruce MacDonald. Illumination by unknown, calligraphy by Ariana verch Gwenllian. This page was last modified on 7 November 2018, at 11:27.